Why I picked it up: Finally getting around to Ben Folds! I really like this ablum. I like Ben Folds' music. I like Nick Hornby's lyrics. This is how a good collaboration is done, folks. What is there not to like? I suppose I'll start with the lyrics. Every song tells its own little story. Most of the songs are clever and funny, a few are a bit heartbreaking (Picture Window, anyone?). Um. I guess that's all I really have to say on the subject? They're short stories, really, and that's fitting. As for the music, well, I would say Ben Folds makes pop music for people who don't really need to listen to the pop of Katy Perry or Lady Gaga. I would describe him maybe as a maker of 'pop for other people'. He knows how to use a piano. The music is generally catchy and upbeat and very easy on the ears (Saskia Hamilton aside). I don't have a lot of upbeat piano alternative rock pop or whatever you want to describe this as. I'm thinking Ben Folds might be in a genre of his own. I didn't have any big emotional upheavals while listening to this album (this album is definitely a relief provider from Cloud Cult, that's the reason I bought it at Electric Fetus in Duluth in the first place, actually), nor did I find any great story inspiration. 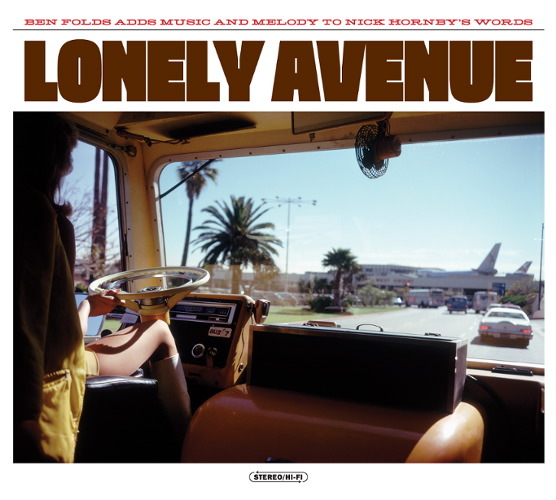 When I listen to Lonely Avenue, I have fun. I don't have a lot of albums like that (which isn't a bad thing! Usually music just has further connotations for me). This album doesn't carry any baggage and it doesn't need to. It's fun to sing along to, fun to listen to with my friends and fun to listen to while cleaning my room. Another musciain to add to my list of artists I need to explore further!